After another record breaking winter 2016-2017 season that saw a 35% increase of resort visits compared to year prior, near or at capacity lodging virtually every weekend, and 327 inches of Utah’s “Greatest Snow on Earth”®, Eagle Point Resort, located in the majestic Tushar mountains of southern Utah, plans to focus on continuing to improve the on and off mountain guest experience. The resort also announced the unveiling of a model home located at the new Aspen Crest at Eagle Point collection of ski-in/ski-out homesites and future condominium community currently in development in the heart of the resort. “Among all the positive feedback, what we also heard from guests is a desire for various improvements and modernizations of lodging units and we set out to begin transforming many of them as soon as we ceased winter operations. We are prepared to offer the best possible ski-in/ski-out lodging experience, at the best value, for what we hope will be yet another banner winter season beginning in December,” added Gadbaw. Continued website improvements so that guests can easily view property features, photos, up-to-the-minute rates and availability of any lodging property. Also, to meet the increased demand, the resort has also expanded the number of condominium rentals available to guests. To modernize the lodging accommodations, dozens of condominiums were renovated during the spring and summer months focusing on remodeled interiors and expanded wi-fi service. For guests who may choose not to ski or snowboard every day, or to sooth sore muscles for those that do, a massage service will be available at Canyonside Lodge during peak periods. The new PistenBully ParkPro snowcat purchased towards the end of the 2016-2017 winter season will be fully operational this upcoming season adding significantly more grooming capabilities to lay down perfect corduroy across all three peaks. For those who wish to stay more connected or find a quiet productivity space, Eagle Point expanded the Business Center located at Canyonside Lodge where guests access internet, print documents and handle other personal computing needs. Noted for providing exceptional on-mountain cuisine, the Canyonside Bar & Grill will now offer a Quick Lunch Menu on Saturdays and busy holidays so that guests can rapidly refuel and maximize the time they spend on the slopes. Construction is underway on four new homes by owners who purchased lots in the resort's new subdivisions. The featured project is a model home in Aspen Crest at Eagle Point, the resort’s premier residential location, ideally situated in the heart of the resort area. 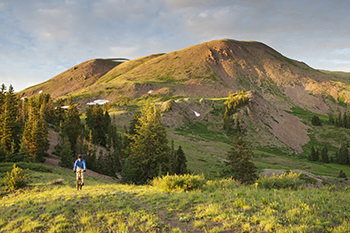 With awe-inspiring views in every direction, Aspen Crest offers private home and condo sites with a seamless, all-season connection to over 1.5 million pristine acres within the surrounding Fishlake National Forest. 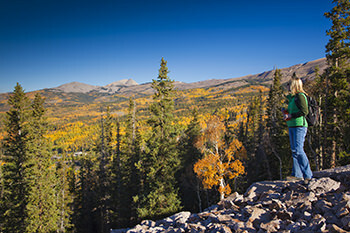 The ski-in/ski-out residential development is the nation’s newest slopeside year-round set of homesites and will offer exclusive access through the resort’s private 1,200 acres to the vast forest beyond for skiing, biking, hiking or riding. 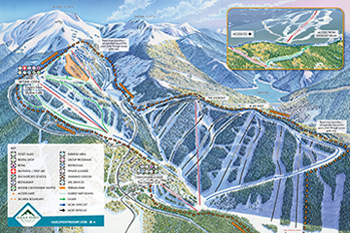 Planning and design are also underway for the communities’ Phase Two consisting of ski-in/ski-out condos and this winter Aspen Crest will unveil condominium concepts and begin forming an Interest List for purchasing. 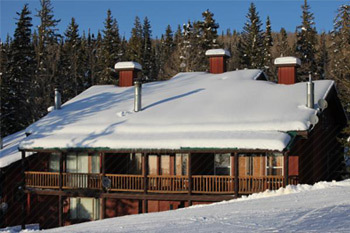 Additionally, Eagle Point Resort is now the home of Aspen Equity Real Estate, an independently owned real estate agency. The agency will focus on the real estate marketplace for the surrounding area, catering to buyers and sellers with a highly skilled, locally knowledgeable, community-driven service team.